Our building is not only beautiful (though we say it ourselves! ); it is also the perfect location for holding classes and meetings. We have three rooms of varying sizes, which can comfortably accommodate up to 25 people each. They each have whiteboards and TV/DVD. One of these rooms is a dedicated audiovisual suite with digital projector. 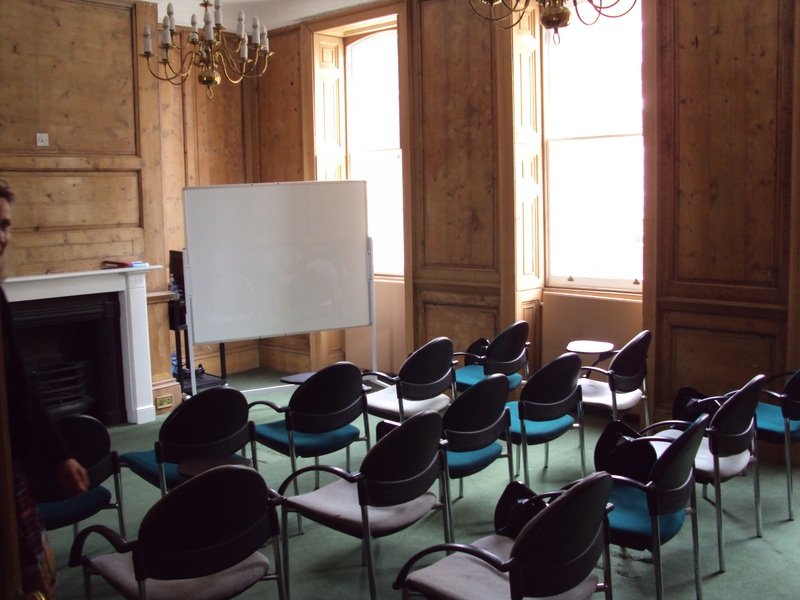 They can also be set up for meetings and completely cleared of furniture for other events. Please see our 2017-18 Classroom Rental Information Sheet for prices. If interested please fill in our Classroom Rental Request Form and send to mary@geolondon.org.uk and we will get back to you as soon as we can.